In a dramatic departure from standard medical practice, BC Women’s new NICU will be the first in North America to offer intensive care for newborns and postpartum care for mothers in the same room. When Hilary Mason gave birth to her son at 32 weeks, she recovered in a bed at BC Women's Hospital in Vancouver while her preemie was whisked to an incubator in a different ward. Nurses reassured her that her son was alive, but "I was absolutely unprepared to be separated from my baby," she said. "It feels like your body goes into mourning, like something terrible has happened." Her experience is all too common for mothers of newborns in intensive care. But several years later, Mason got a chance to help change the system as part of a committee involved in designing a new neonatal intensive care unit (NICU) at the B.C. hospital. Leaning over a cardboard model of a single-patient NICU room, she moved a Lego "mother" next to a Lego "baby" and asked, "Why can't she get her care in here?" Hospital officials, after much debate, agreed the idea made sense. In a dramatic departure from standard medical practice, BC Women's new NICU will be the first in North America to offer intensive care for newborns and postpartum care for mothers in the same room. When the NICU opens on Oct. 29, mothers will be able to recover from vaginal or Caesarean births and pump breast milk without leaving their babies' side. The new model is part of a broader shift toward supporting mother-infant bonding from the start, said Julie de Salaberry, director of neonatal programs at BC Women's Hospital. "We do a lot of great things to promote attachment, but this is taking it to the next level." Research has shown that close contact between mothers and newborns decreases infants' pain and stress and helps brain development. Maternal stress, on the other hand, can have long-term effects on children's health, she said. "What we know from mothers is that separation from their baby is the most stressful experience of all the stressors in the NICU." 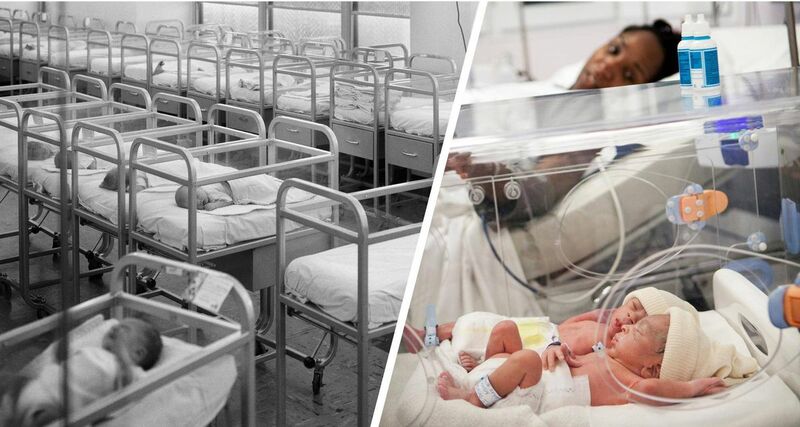 Crammed with a dozen incubators, the typical NICU is a nerve-wracking environment. Beeping equipment, family chatter and the comings and goings of hospital staff keep noise levels far above the healthy decibel range for newborns, according to a 2015 Cochrane review. Parents have no privacy or place to sleep and never know when the infant in the next bed might have a medical emergency. In BC Women's new NICU, all newborn patients will have their own sound-proofed rooms (although twins will share). Twelve of the 70 rooms are spacious "mom and baby" quarters equipped with a breast-pumping station, reclining chair and hospital bed for the mother, in addition to an incubator and infant-monitoring machines, which, together, have a bigger footprint than a large refrigerator on its side. The mom-and-baby rooms are for infants born at 33 weeks or later and mothers at low risk for complications after birth. The remaining 58 NICU rooms do not offer maternal care but can accommodate newborns as premature as 22 or 23 weeks. Each has a pullout sofa where a mother, father or other family member can sleep until the baby is discharged. Having a place to sleep in the hospital relieves stress for parents, especially those coming from remote communities, de Salaberry said. Staying with their babies makes it easier for parents to read stories out loud and learn how to hold a newborn, change a diaper and clean out an infant's mouth with a cotton swab. The idea is to treat parents not as visitors, she said, but as "part of the care team." Mothers recovering in the NICU can start nurturing their babies within minutes of birth. Even preemies on ventilators can curl up on a mother's chest skin-to-skin for brief periods, de Salaberry said. This close contact, known has "kangaroo care," improves infant growth, breathing, temperature regulation and overall stability in premature babies, studies have shown. Seeing and holding their newborns helps mothers bond with their babies and stimulates the flow of nutrient-rich breast milk. In 2005, Mason was not allowed to hold her baby until two days after his birth. Discharged the next day, she had to drive home every night to sleep while he spent five weeks in intensive care. Her son, now 12, has disabilities. At times, Mason wonders what his health would be like if they hadn't been separated. In a mom-and-baby NICU, "I would have been able to get up at night when I was worried about him and just touch him and hold him," she said. "He would have heard my voice all the time." Individual NICU rooms are becoming more common in hospitals across Canada – both Sunnybrook Health Sciences Centre and Mount Sinai Hospital in Toronto have them. But in North America and Europe, certain hospitals in Estonia and Denmark are the only ones that have treated mothers as well as infants in a NICU. Adding post-partum care to BC Women's new NICU was an uphill battle at first. The initial response, Mason said, was: "This can't be done." Doctors raised concerns about contamination associated with postpartum care. But Mason pointed out that postpartum mothers were already spending hours in the NICU, in between their own appointments in the maternity ward several floors away. De Salaberry cited the strong evidence supporting early mother-infant bonding and, eventually, the rest of the team got on board. To test the concept, the hospital refurbished two rooms in the old building into temporary mom-and-baby NICU rooms. They quickly discovered the plan would turn the entire care model on its head. "The nurses' work changed dramatically," de Salaberry said. Instead of focusing on infants, they had to add postpartum care for the mothers to their rounds. The hospital created an education program for all 220 nurses, some of whom hadn't done postpartum care since graduating from nursing school 25 years before. "We were asking them to do something that they hadn't signed up for." Adding private bathrooms to eight of the NICU rooms was another tough sell. "Bathrooms are expensive," de Salaberry said. The new NICU has central washrooms that family members can use, but women receiving postpartum care need privacy during their recovery, she said. The new setup may end up saving costs in other areas, however. Postpartum care in the pilot NICU rooms has already reduced mothers' length of stay as patients, down from the average two or three days, she said. "It may prove to also reduce the length of stay for the babies," she said, but added that so far, not enough patients have gone through the program to say for sure. As BC Women's prepares to move into the new NICU, the hospital has learned that changing how it provides care to patients and families may be as essential to the new approach as building a state-of-the-art NICU, she said. Even without new facilities, other hospitals could adopt a similar care model "if there's a will."